When it comes to parenting guilt, juggling work and kids can be a huge trigger. But here’s something that may put working mums’ minds at ease. It’s quality – not the quantity – of time spent with young children that matters most, according to a groundbreaking new study. It found the amount of time mums spend with their children aged three to 11 has little bearing on how successful and well-adjusted they’ll become later in life. 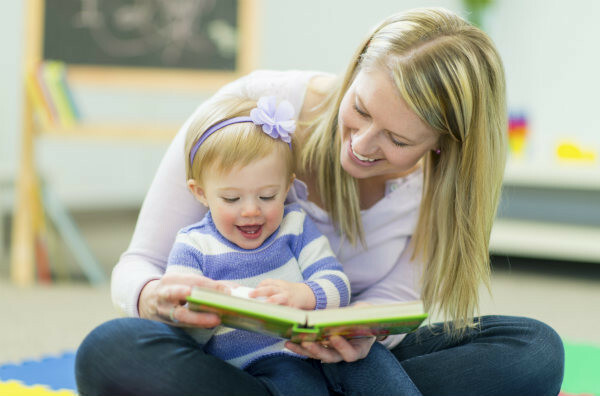 Its authors say modern mothers actually spend more time actively engaged – for example playing or reading – with their kids than mums in the 1960s. That’s even though more mothers now work. They also say it’s not true that it’s best for children to spend more time with mum than with anyone else. That old saying that it takes a village to raise a child seems right on the money according to these researchers, who say the more time children – particularly adolescents – spend with both parents, the less likely they are to get into trouble as teenagers. And here’s the best reason to ditch the guilt around being a working mum – the study says showing signs of stress and anxiety to children can have a negative effect on them. “Mothers’ stress, especially when mothers are stressed because of the juggling with work and trying to find time with kids, that may actually be affecting their kids poorly,” Bowling Green State University sociologist and report co-author Kei Nomaguchi tells the Washington Post. The large-scale study of 2400 children, published in the Journal of Marriage and Family, looked at their academic achievement, behaviour and emotional wellbeing. It says a child’s success in later life has more to do with social factors such as the mother’s education level and family income than how much time they spend with her. The study found mums spend on average 13.7 hours a week with their children – compared with 10.5 in 1965 – and fathers now spend 7.2 hours, compared with 2.6 in 1965. Figures from the Australian Institute of Family Studies show Australian parents are even more engaged with their youngsters. Mums spend 18 hours a week with school-aged children, while fathers spend 11 hours with their kids, according to the Courier Mail. The report authors encourage parents to ease up on the guilt – and instead, spend more time at family dinners, read to your child, talk with them and engage one on one. The most important time to spend time actively engaged with children is in their teen years, they say – and even then, an average of just six hours is enough to make a difference in things like behaviour and maths scores. Dr Milkie says building relationships and grabbing quality moments of connection are most important for both parents’ and children’s wellbeing. “The amount of time doesn’t matter, but these little pieces of time do,” she tells Washington Post.